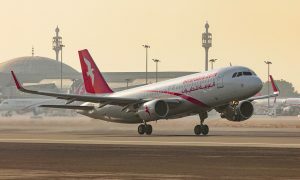 Air Arabia has announced Kathmandu as the latest destination to be served from the recently launched Ras Al Khaimah hub. Starting February 22, 2015, the low-cost carrier will fly twice weekly to Kathmandu, the 10th destination which travelers can now access from the Northern Emirates. 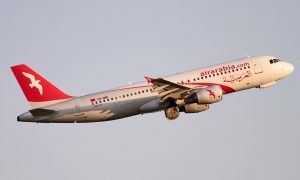 Air Arabia will operate its Kathmandu service on Wednesdays and Sundays, departing Ras Al Khaimah at 14.10 and arriving at Tribhuvan International Airport at 19.40. Flights will depart Kathmandu at 20.20 and land in Ras Al Khaimah at 23.35. Air Arabia currently serves Kathmandu with triple daily flights from its main hub at Sharjah International Airport. 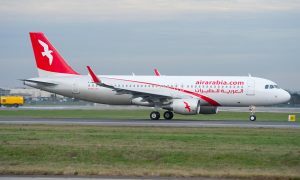 Air Arabia’s first flight from Ras Al Khaimah International Airport, its second hub in the UAE, took off on May 6, 2014, to Jeddah in Saudi Arabia. It has since added direct services to Muscat in Oman; Dhaka and Chittagong in Bangladesh; Cairo in Egypt; and Islamabad, Lahore and Peshawar in Pakistan and Doha in Qatar.